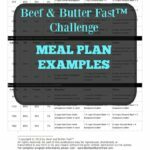 We have a Beef and Butter Fast Challenge Substitution List because we don’t want you to get bored with this challenge or eat anything that doesn’t work well with your body. The easiest way to think of this Beef and Butter Fast Challenge is to this simple. You are basically eating a protein with the right amount of healthy fats to help with your weight loss goals. You will need to determine what your macros are before you start. We have an article that will teach you exactly how to determine your macronutrients on the Keto diet. We also have a video that walks you through the process if you are a visual learner too. 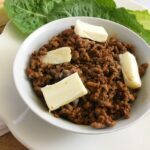 This Beef and Butter Fast challenge was designed to remove most of the carbohydrates and foods that tend to create a stall from your diet to allow weight loss. 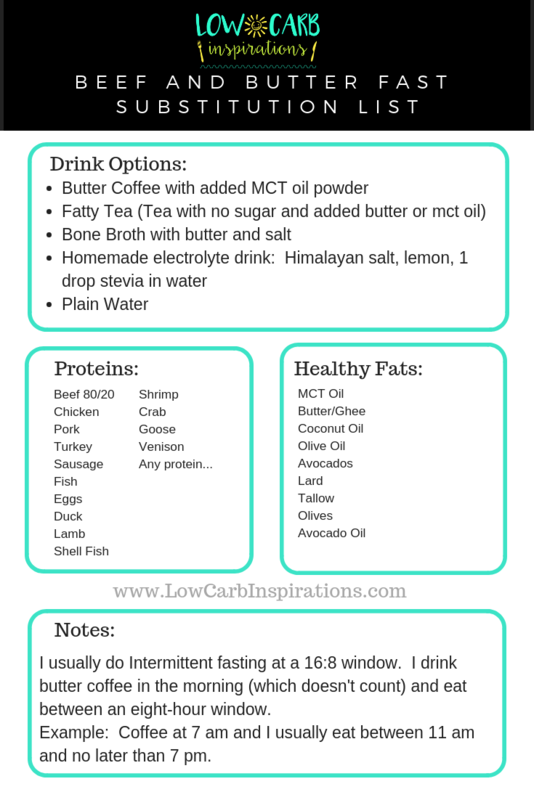 It may seem a bit restrictive at first but this substitution list will help it feel less restrictive while allowing you to meet your goals. 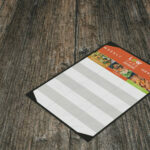 There are a few products besides the food that you may want to purchase ahead of time. We highly recommend drinking bone broth because of its benefits with added nutrients but also because it keeps you hydrated too. The main problem with bone broth is that most brands have added sugar in them. Be sure to read the labels for all the hidden sugar names to make sure your brand does not have added sugar. 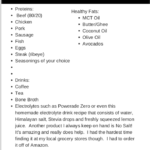 You can choose to make your own homemade bone broth or purchase some from a brand I trust. Kettle and Fire is a brand I trust and all of their flavors are absolutely delicious. 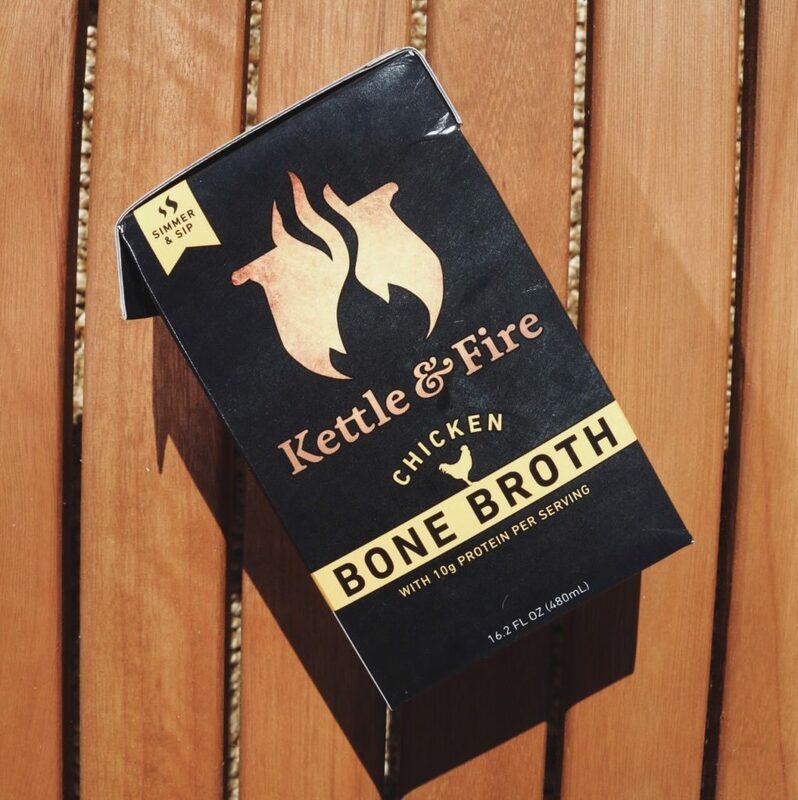 You can purchase the Kettle and Fire Bone broth here. 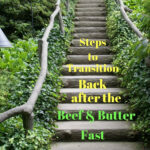 You can download this Beef and Butter Fast Substitution List here. How Much Beef Should I Eat on the Beef and Butter Fast? 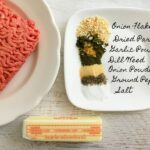 How Do I Prepare Ahead of Time for the Beef and Butter Fast Challenge? Copyright ©2019, Beef and Butter Fast™. All Rights Reserved. You will receive a weekly email that includes our best Keto recipes and a weekly meal plan!